1. Make all the "gold" less green and more gold. 2. Make the shin guards a leather-ish colour to offset the gold. I would modify the helmet so that it's closer to the head, and not that wide. It seems like you've already done that, but I'd like to see it even more. 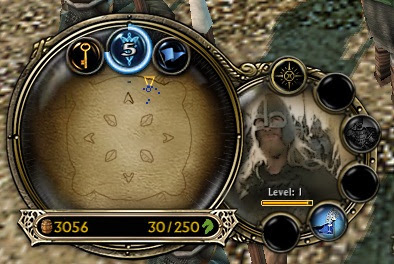 The vanilla helmet looks like a ufo after all..
How does that picture look ? 2.) 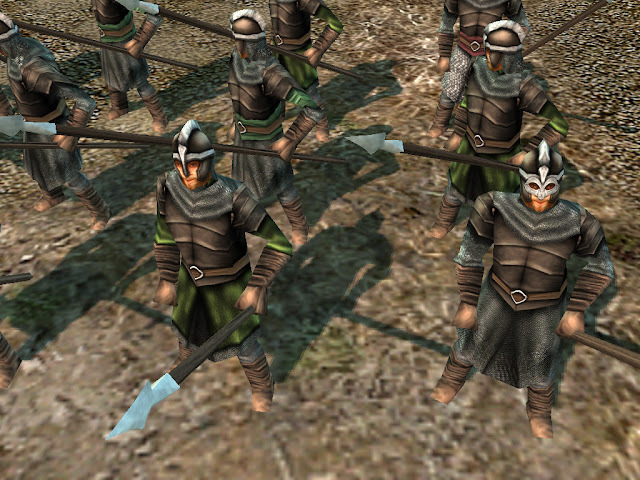 And with some help with Mathijs the Edoras Spearmen have new skins !! OY! That is a huge difference! There really is no comparison. Really, really good. Only thing: is it just me, or are they holding the spears a little...oddly? 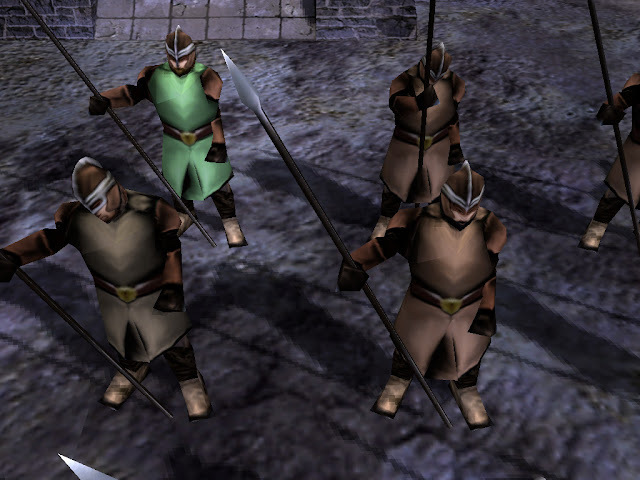 Possibly the best and most unique Rohan Spearmen I've seen yet. Great work Mathijs and Rider! Keep this up. I do look forward to a nice Rohan mod without having to play a massive makeover. I'm glad they look good in-game. 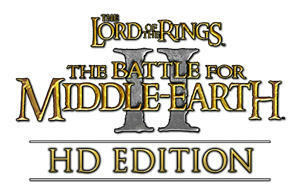 If the Helms Deep map takes forever to load you could try deleting all of the items on the map except for in the area that the camera is looking at. If it has a huge item count, that could slow it down. nice. but that lone horsemen that is trotting on down seems really weird. make it go a lot slower. a horse trotting doesn't go as fast as a horse that runs. haha and yes add camera movement. maybe circling around the citadel. Edited by Rider of Rohan, 17 November 2012 - 10:27 PM.